Awesome Pink Ribbon Zip Jacket. 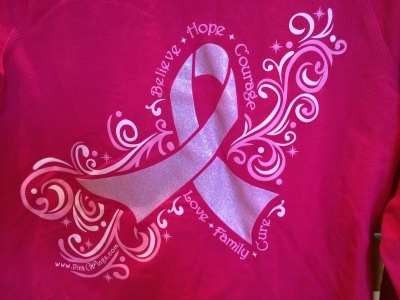 Silk screened on the back is our new Ribbon and Swirls pink ribbon design. A small pink ribbon is silk screened on the left chest. This jacket comes in sizes Large and XL ONLY! All other sizes are sold out. I also carry this jacket with the Ribbon and Wings design on the back in sizes XL and 2XL only. Please choose option from drop down menu!